There is a new effort in Prince George's County to clean up all the litter that has been piling up along streets. Along with a new trash app, the county is also planning to use cameras to enforce current laws. News4's Tracee Wilkins reports. 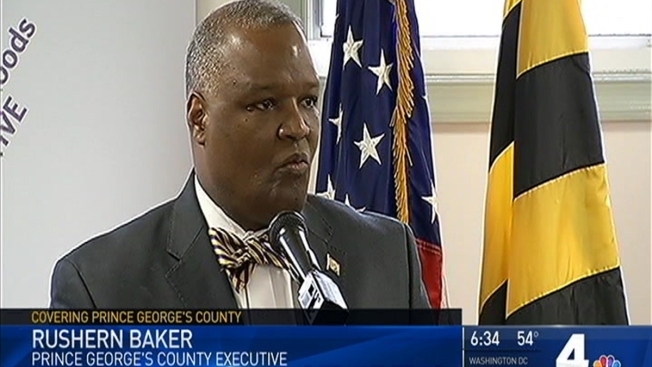 Prince George’s County is investing an additional $2 million into litter pick-up efforts, County Executive Rushern Baker III announced Thursday. “I’m calling on out public agencies to collaborate with the private and nonprofit sectors to make litter reduction a major emphasis in our county,” Baker said in a statement. About 1,700 tons of litter have been collected from Prince George’s County in 2017, according to estimates from the Department of Public Works and Transportation. As part of this effort, the county is turning to technology, releasing an app that allows community members to track and report litter removal. Through the app, PGCLitterTRAK, residents are able to report when and where they have collected litter and document the exact amount collected. After an update, the app will let users report the location of the litter they have collected for pick-up. Currently, the app offers this feature for users collecting trash in a county sponsored event but not for private users. This update is expected before the end of this year. The data collected through the app will be sent to the Environmental Protection Agency, which is tracking the amount of trash that the county adds to the Anacostia River Watershed, according to a press release announcing the app. The goal of PGCLitterTRAK was to "assist departments in answering the question, 'where is the litter coming from,'" said Tiaa Rutherford, the county's Litter Reduction Program Manager. Users have to register via the county website to use PGCLitterTRAK. Instructions on how to use the app can be found here. The county Department of the Environment is holding a training Thursday at 6 p.m. to teach community members how to use PGCLitterTRAK. More details on the training can be found here.